Facebook reported that it had about 955 million monthly active users. Facebook hosts valuable data of all its active users, which pertains to their personal details, contact details, geographic details, and other information related to interests, hobbies, and favorite hangouts. Well what does all this valuable information equate to? Facebook states in its terms of service that it owns the right to use all the user generated content that is posted in its website. But such statements are commonly used by all the social networking websites. On the flip side, while Facebook provides a secure platform for its users to share and connect with people, it has been prone to hacking by cyberpunks in the past. Well, if you are account is hacked you could face the following entailments: privacy infringement, identity theft, and defamation. The effects do not end there, all these entailments have their own set of implications on your private and social life. 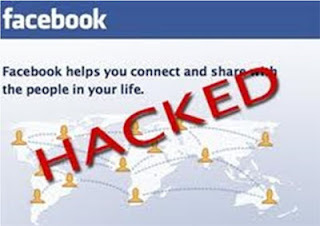 The important question is how do you find out if your Facebook account was hacked or not? If a cyberpunk hacked your Facebook account, there is always a trace. If the hackers session is active, it will be listed in active sessions page under the security tab. Under active sessions tab, you have the option to the end the activity of all suspicious sessions. If you realize that the hacker has gained complete access to your account, then you have to act immediately. Follow these simple steps to regain access to your Facebook account. Alter & Reset the Password: If you come to know that the password was not changed by the hacker, then log in to your account and end all the active sessions under active sessions tab. Then, go to account settings tab and change your current password. If you come to know that the hacker has changed the password of your account, then click the forgot password option in the sign-up page and reset your password. 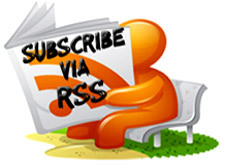 Follow the various procedures that will let you to retrieve your password. If you come to know that the hacker has changed all your profile information, then click the ‘no longer have access to these’ option, with which you can enter a new email address and from that point on Facebook will assist you to regain access to your account. Reporting & Damage Control: If you find out that your account has been hacked just to send out spams, then report to Facebook that your account was compromised. In order to limit the implications after hacking, make sure that you inform your friends in your groups that your account was hacked. This has to be done if in case the hacker used your profile to post violent or abusive content. Terminate Applications: It is not always hackers or cyberpunks who can hack your Facebook account; there are some suspicious applications out there that can gain access to your account if used. So, go to the apps section under the account settings tab, and terminate such malicious applications.